Funeral services for Trey Robert Prewitt, 21, will be held at 5:00 P.M. Monday, December 3, 2018 at the Guernsey – Sunrise High School – West Gym in Guernsey, Wyoming with Pastor Randy Simmons of Faith Fellowship officiating. Inurnment will be in the Prairie Rest Cemetery near Guernsey. Trey Prewitt died Wednesday, November 28, 2018 at his home near Wheatland, Wyoming. 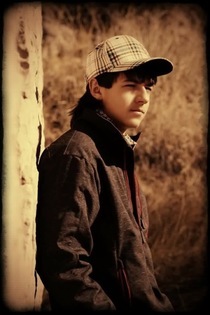 Trey was born Thursday, March 13, 1997 in Wheatland, Wyoming the son of Swade Robert and Melissa Ann (Willier) Prewitt. He was raised and educated in Guernsey and graduated from the Guernsey – Sunrise High School in 2016. Following graduation he moved to Montana to work at a feedlot for his Uncle Rod Prewitt. He returned to Wyoming in 2017 and lived in Wheatland working for Douglas Exploration. He was working for Excel Construction of Wheatland at the time of his death. He is survived by his wife, Kinsey Prewitt, of Wheatland; parents, Melissa and Swade Prewitt of Douglas, Wyoming; sister, Stormie Prewitt of Guernsey; paternal grandparents, Winnie and Dave Prewitt of Guernsey; and maternal grandparents, Brad Willier of Wheatland and Kathy Hull of Guernsey. A memorial to the Trey R. Prewitt Memorial Fund in care of Platte Valley Bank, 200 Sixteenth Street, Wheatland, Wyoming would be appreciated by the family.